When it comes to clean, contemporary style, sometimes less is more. That is the case with this modern upholstered arm chair. This chair features a subtly channeled backrest, slender arms, and tall metal legs that give it a sense of visual height. 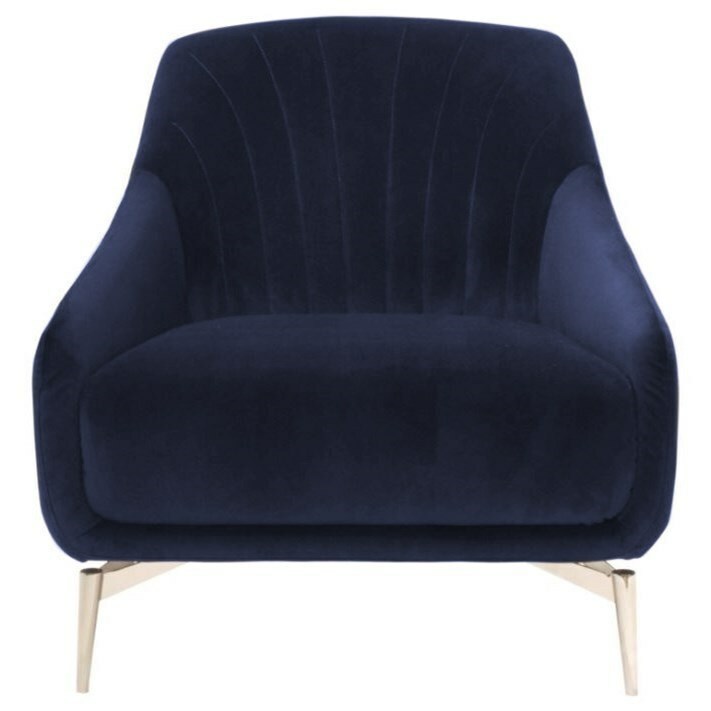 Cover this chair in your choice of fabric to create a piece that makes a bold statement, blends into your existing decor, or captures any other look you're after. The Felicita Contemporary Chair with Metal Legs by Natuzzi Editions at HomeWorld Furniture in the Hawaii, Oahu, Hilo, Kona, Maui area. Product availability may vary. Contact us for the most current availability on this product.